Temperatures drop, the length of daylight fades, and you start feeling moody, tired, and sad. For many people, winter arrives carrying seasonal affective disorder (SAD) along with it. Here are some health tips about what to watch for and how to fight it. Experts suggest as many as 20% of the population suffers from SAD. The majority are women. The sun reaches the brain through the eyes, triggering the production of serotonin. Serotonin has many roles in the body—including governing your moods. SAD can set in when there is less light and, thus, lower serotonin levels. Melatonin is the other neurotransmitter, and it comes out in the dark. An imbalance caused by winter darkness, with less serotonin and more melatonin, can trigger SAD. While some people can manage and get over it, don’t hesitate to get help if SAD symptoms are disrupting your personal or work life. If depression sets in too firmly, it is very important to seek help. RECOMMENDED: Realizing the roots of depression. 1. Stay social! Don’t shy away from family events or interactions with friends. These can help improve your mood. 2. Get some natural light. Head outside as much as you can, particularly on sunny days. We are creatures who are governed by sunlight. 3. Consider light therapy. Light therapy can be helpful. There are many products on the market now that are simple to set up at home. You just shine a specific type of light toward your face and, unbeknownst to you, it will help battle SAD. 4. Be healthy. Eat nutritious foods, and exercise regularly. Keep it up, and you will help lift yourself out of the grasp of this health problem. Don’t let winter get you down. If SAD is causing trouble for you, take steps to alleviate it. 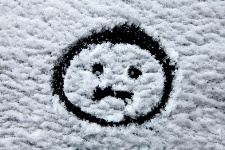 “Experts Offer Advice to Avoid Winter Blues,” Mayo Clinic, December 5, 2012.